Bodies Electric by Colin Harrison. Honestly, I think this may be the best thriller ever written. Harrison is simply a fantastic writer, and his real gift is focusing on the tensions and terrors of ordinary people rather than focusing on big, political issues. An Instance of the Fingerpost by Iain Pears. I tend not to read a lot of historical fiction for my leisure reading — it feels too much like work — but this is a great historical novel as well as a great crime novel. I recommend it to everyone. The Secret History by Donna Tartt. To put it bluntly, every book should be this book. Smart, engaging, compelling, and suspenseful — it has it all. Paranoia by Joseph Finder. Finder is the master of the (non-historical) business novel. He’s also a great writer, and at his best when he’s writing in first person from the perspective of an engaging narration in over his head. This book plays to all of his strengths, and every page is a pleasure. Diamond Dogs by Alan Watt. This one remains one of my all time faves. A masterful story of a teenager who accidentally does something terrible and has to hide his crime from his father, the town sheriff. Perfection. Feel free to post with your own picks. By the way, writing about Diamond Dogs prompted me, as I do every few years, to see if I could track down Alan Watt on the internet and try to find out if he ever plans to write another novel – which is something I’d like him to do. This time I made contact, and he seems to be a nice guy. The internet is truly bringing us all together. Yes, the blog posts have been somewhat scantly lately, and this despite my new year’s promise to be a more regular blogger. I am sorry about that, okay? The fact is, I’m very busy. With what? you ask. It is a legitimate question, so here’s a rundown of all the things I’m working on these days. 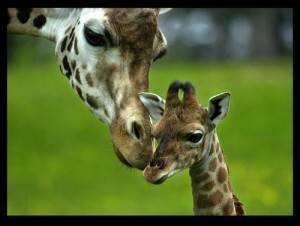 I don’t know if I have a favorite animal, but giraffes would certainly make the short list. Please don’t look for context. There is none. *The new novel, The Darkening Green. I’ve received notes from my editor, and now I’m deep into formulating my revision. I have a tight deadline if I am going to get the book out in the first half of 2011. *My new 5-issue miniseries with Marvel. I still can’t talk about this until Marvel officially announces it, but we are deep into development. I just submitted the script for issue #3. The first issue has already been drawn and lettered, and is now being colored. The inks for #2 have just started coming in. I can’t wait to be able to talk more about this, — the project is very exciting, and the art is absolutely fantastic. *An “illustrated novel” with independent comics publisher Radical. Again, a bit soon to talk about it, but I should be able to announce the project and even show some early art within the next few weeks. This is not a comic, but essentially a novella with a lot of amazing art. It is also historical in nature, though set in a period I’ve not previously worked with, so it’s taken a great deal of research. *Yet another comics project I can’t talk about, this one at a major imprint I can’t mention. I’m working closely with an editor to fine-tune a proposal and get this thing officially in production. I absolutely love this concept and these characters, and I will be extra super psyched if this gets the official green light. *Other different comics pitches I’m working on – some solicited, some my own concepts. *A film treatment I am poised to write if my film agent and the producer can ever come to terms. Also, there is this article from The New Republic which makes it clear that bloggers are the new oppressed laboring class, so have some sympathy for those of us living on the virtual Grub Street. To other bloggers I say it’s time to rise up, my brethren and sistren. This looks like fun, no? 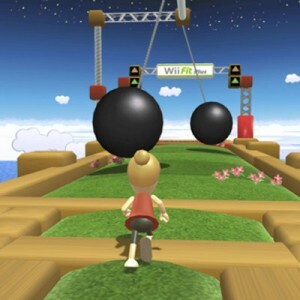 In other news, the Wii Fit Plus (with balance board) I ordered for my wife’s birthday finally arrived. I’m very curious to check this out. Now, my wife keeps in shape with her punishing yoga routines, and I hit the gym five or six days a week to do cardio and lift the iron. Most of what I’ve read about the Wii Fit compares its benefits to doing no exercise at all, so I’m curious to see if it feels like exercise when you are starting from a position other than couch potato. I will report back.